In the "what have you done for me lately" culture of Pittsburgh Hockey, Brenden Morrow has already been written off as an off-season casualty. 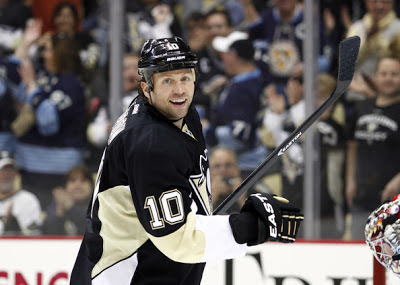 When Brenden Morrow signed with Pittsburgh, waiving his NTC, he stated "I want to win the Cup" as his main reason. It was admittedly tough to uproot his family for this opportunity but he decided to do what's best for himself personally and accept a trade to the clear Cup favorites. The addition of Morrow seemed to fill the need of a passionate, gritty, veteran who can not only add a skill-set to the ice but add intangible leadership off the ice as well. The former, Dallas captain was a successor in the long line of veteran leadership brought in by Shero to give the Pens an extra shove towards ultimate success in the playoffs. 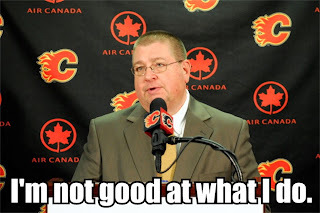 In a tradition of Roberts, Guerin, and Sullivan it was clear what Morrow's role was with the team. Pens fans got to be excited for 4 days until the shocking announcement of Iginla being traded to the Penguins, rapidly changing his role with the team. What would have been a top 6 role (presumably) with the Penguins Morrow dropped to a third line role. Something I'm sure none of us (including him) was expecting. Morrow being the classy veteran that he is adopted that role splendidly adding a much needed physical spark playing along with Brandon Sutter and Matt Cooke. Morrow was considered the type of player for the playoff atmosphere; passionate, hard working, and had the desire to take his play to another level for 4 rounds of hellish playoff hockey. Sadly, this did not happen. Although, you cannot question his desire on the ice as sometimes he looked like the only one who came to play in the Bruins series, only 4 points in 14 games does not go over well. Three of those 4 points in a lop-sided Senators series and one against the Islanders. This playoff performance has turned his excellent 15 game stint with the Penguins into a "failure" in the eyes of most "fans". So what's next for Brenden Morrow? He is heading toward becoming a UFA at the age of 34. Should he expect a similar contract of 4.1 million? Not with the Penguins. The only scenario I can see is if the Penguins decide to let Matt Cooke walk. Although Cooke brings a special type of factor to the game that really cannot be replicated by anyone else on the ice, Morrow should expect a third line role with the Penguins if he decides to stay. 4.1 million, or anywhere close, is not third line money. There is no doubt that a team will pay Morrow that type of cash with a less deep team and enjoy a more prominent role on the team of his choice. Like most contract renewals alot depends on what Morrow wants. It is very unlikely Morrow will take less money, a lesser role, and less playing time to stay on the Penguins. He would be welcome back on the Stars team I would imagine (they love over-aged players) or some team like a Nashville with cap space and a need for grit and scoring. To wrap up, Morrow will likely walk away from Pittsburgh with some good and bad memories. He will get to finish his career with a team that can afford him and hopefully retire a Dallas Star. It seemed like a good idea at the time Mr. Morrow but it wasn't you it was us ... I promise.